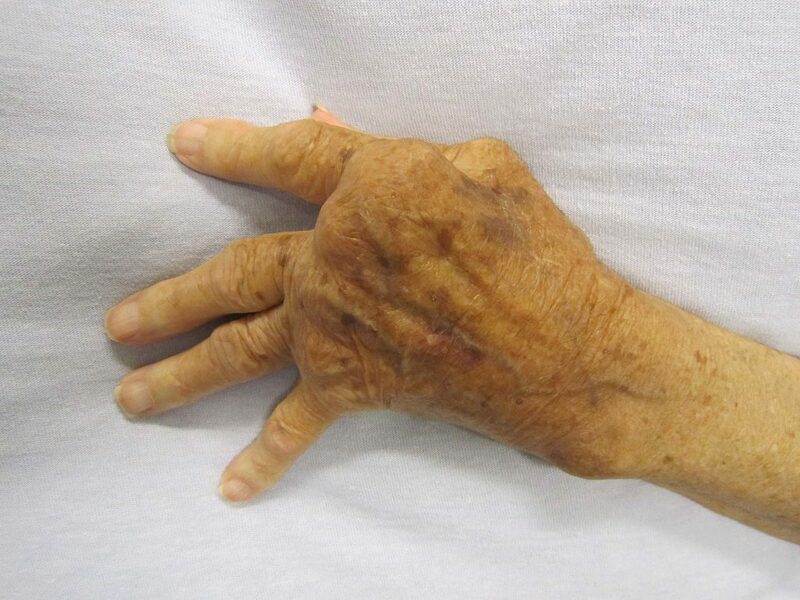 Rheumatoid arthritis (RA) is usually associated with pain and swelling in the joints. However, it can also cause damage throughout the body. Unlike osteoarthritis, which is a disease caused by wear and tear on the joints, rheumatoid arthritis is an autoimmune disease. This means that RA causes the immune system to attack healthy. RA is also an inflammatory disease, and the inflammation it causes can damage healthy tissue throughout the body. The inflammation of RA affects different parts of the body in different ways. Although RA usually occurs in the joints in the hands and feet, it can also affect joints throughout the body, including the spine, neck, shoulders, hips, knees, and ankles. RA usually targets the synovium, the lining of the joints, inflaming it and causing it to swell. This leads to pain and stiffness in the joint. The inflammation also causes the cartilage between the bones to break down, causing severe pain and permanent damage in advanced cases. The inflammation of RA can compress nerves, particularly nerves in the hands or feet. If RA attacks the wrist, it can cause carpal tunnel syndrome. RA can also cause psychological and neurological symptoms, such as depression, brain fog, and behavioral or cognitive changes. These are sometimes a result of nerve compression due to inflammation in the joints, or may result from systemic inflammation throughout the body. Certain medications for RA can also cause cognitive issues. RA can cause inflammation in the heart and blood vessels, which can be life-threatening. Untreated, RA can lead to anemia, headaches, and fatigue. The inflammation of RA can damage the blood vessels, allowing plaque to build up more easily inside the arteries, leading to an increased risk of heart attack or stroke. The heart lining can also become inflamed, leading to chest pain. Eighty percent of the time, RA affects the lungs, though ithe inflammation is not usually severe enough to cause symptoms. Some people with RA, however, develop pulmonary fibrosis, a scarring of the lung tissue which can cause breathing difficulties. RA can cause osteoporosis, which is a loss of bone density leading to bone brittleness. Osteoporosisis associated with an increased risk of bone fracture. RA is a progressive disease, and if left untreated, the symptoms can both increase in severity and spread to other parts of the body. The most important thing to do if you have RA is to see a doctor who will create a personalized treatment plan. The plan should maximize mobility, while minimizing pain, and slowing progression of the disease.